Dan Peterka is a self-thought artist who mines colorful text and imagery and then re-contextualizes it to create complex drawings. Born in Santa Monica, this former Pro Skateboarder and Snowboarder, beside his dedication to the art, became a Designer, Co-Founder of “The Movement” Snowboard Company and a photographer. 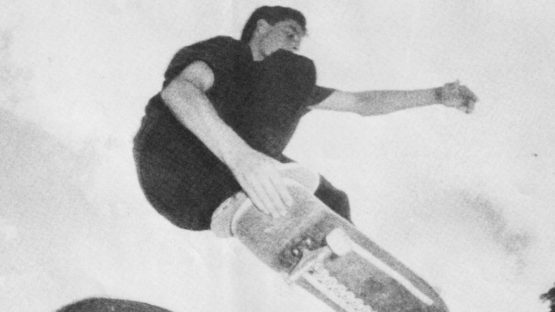 As for the world of skateboard: while many people believe that either Koston or Karl Watson are the inventors of the “crooked” grind, (nicknamed the K-grind after either Karl or Eric K), it was in fact Dan Peterka who invented this trick. Since the name Peterka is somewhat difficult to pronounce, and Koston was seen doing front-foot flips out of the grind a short time after its conception, the grind was renamed “k(oston)-grind” after his mastery of the trick. It was later changed to crooked grind as Koston was too modest to hold a title on a grind that he in fact did not invent. Dan’s designed and the elaborate drawings are created through remodeling of text and images, their repetition in regular rhythmical turns, colored in complementary nuances of slightly pastel base hues. Den’s work is complex, aesthetically perfected and it is evoking good poster design (some of the people from the art world have made a certain comparison to the Shepard Fairey) since it’s founded on sheer geometry. Highly experimental, Peterka’s compositions point a conceptual finger at social constructs, examining patterns of social interdependence on the contemporary availability of information. Knowing no bounds of process or medium, Peterka’s body of work is comprised of digital graphics, drawings, works on paper, and photography. He is best known for his graphic design work in the snowboarding and skateboarding world of the nineties and his legendary appearances in the original H-Street Skateboard videos as an athlete. Peterka’s multi-media methods for making art are akin with his no holds barred, multi-faceted approach to life. Dan Peterka has had several gallery and museum exhibitions, including at the CES Contemporary, and he lives and works in Portland.